Who owns and charters private jets? Private jets indicate status, wealth and importance. Charter airlines are understandably reluctant to release lists of their clientele, but we still know a lot about the types of people who use these services. 1. Families: Though expensive, private charter is becoming more affordable. And, taking the whole family away is a great way to gain additional value. Holidaying with the kids can be a headache, but a charter flight will help keep stress levels to a minimum – especially if grandma comes too. 2. Corporates: Executives love private charter because flight times and destinations are flexible. 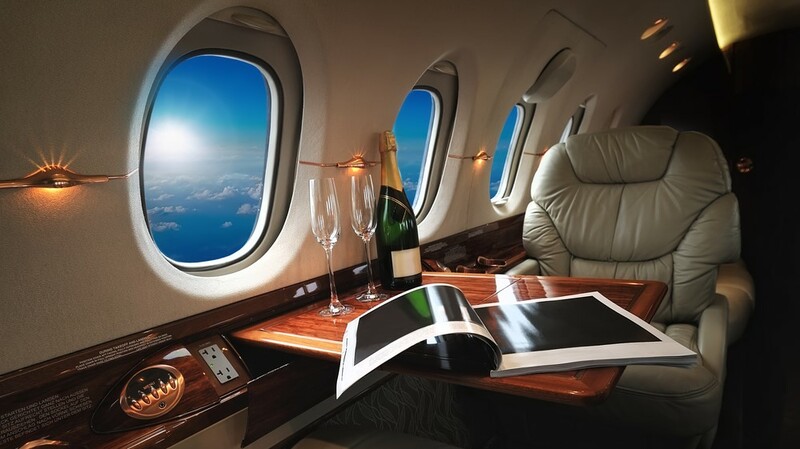 Private jets also aid productivity by providing private space and minimising jet lag. And, they exude the kind of image and authority that’s irresistible to clients. 3. Celebrities: Everyone from politicians and pop stars to authors and actors have chartered private jets. The privacy lets them keep working during the flight, and logistics can be eased by flying in and out of the closest airports. A packed entourage will also get more value for your fee. Possibly the most famous users of chartered jets are heavy metal pioneers Iron Maiden. The band converted a Boeing 757 into their ‘tour bus’, and called it ‘Ed Force One‘. Piloted by vocalist Bruce Dickinson – also a commercial airline pilot – Astraeus decided to keep the band’s livery even after the tour had concluded. Private jet owners are a class all-of-their-own, and are rarely shy about sharing the secrets of private air travel. Donald Trump: Now president, the one-time tycoon’s B757 has 24-carat gold accessories, featured heavily on the campaign trail and is thought to be worth $100m (£77.5m). Warren Buffett: Appalled by his $6.7m (£5.2m) expenditure, Buffet dubbed his company’s aircraft ‘The Indefensible’. So enamoured was he later on, he jokingly announced his desire to be buried in it. Prince Alwaleed bin Talal Al Saud: The Saudi prince is rumoured to have spent $500m (£387m) on his A380, which features a double garage, stables for horses and camels, and a rotating prayer room. The list of people who charter or own private aircraft is extensive, and the market is growing fast. But, to keep corporate and VIP aviation (CVA) on an upward trajectory, private airlines will need access to a variety of skilled staff. This includes cabin crew with VIP customer care credentials, adaptable ground crew and pilots with a range of different type ratings for relevant aircraft types. Discover how a specialist aviation recruiter can give you access to the broad range of uniquely skilled staff you need to cater for your private customers.